A construction project will shut down all express lanes of the Dan Ryan Expressway during the overnight hours Saturday night and Sunday morning. 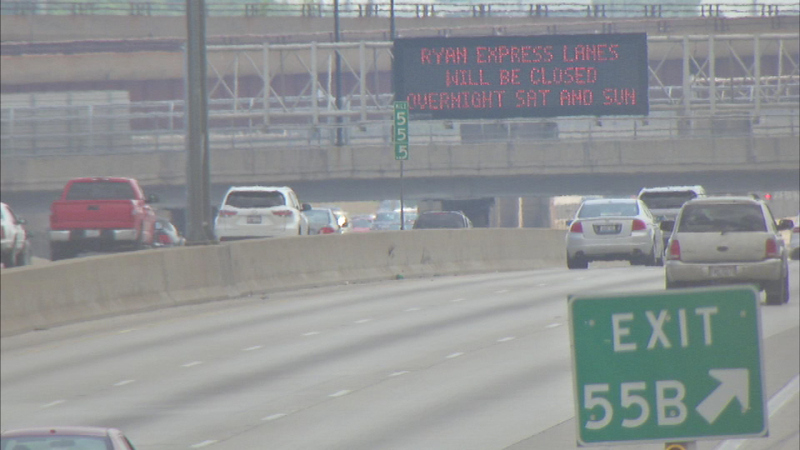 CHICAGO (WLS) -- A construction project will shut down all express lanes of the Dan Ryan Expressway during the overnight hours Saturday night and Sunday morning. Each night, the inbound closures will begin at midnight. On the outbound side, they will take effect at 1 a.m. All drivers will be shifted to the local lanes. These closures are part of the ongoing Englewood flyover project.